Although we don't get GP mismatches as such, our GP is quite high for the TW readiness. So we keep getting beat badly. In fact as a guild we are considering giving up and not even putting defensive teams down. Just take the rewards from the loss and not waste time fighting battles. 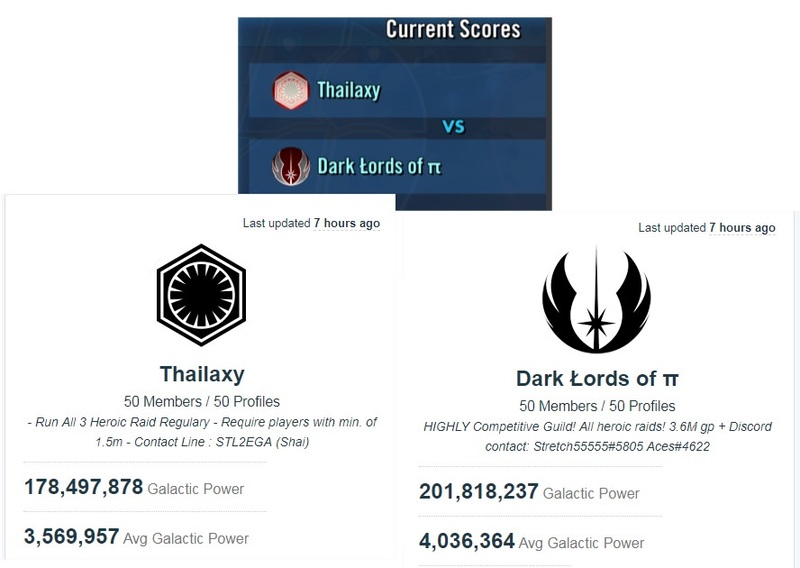 Can the matchmaking algorithm not go beyond GP and look at true TW power such as G12, legendary and zetas? @Bigby just to save you from future heartache, if any guild member scores 0 banners total, for example by not setting any defensive teams and not winning any battles on attack - they will NOT earn any rewards at all. 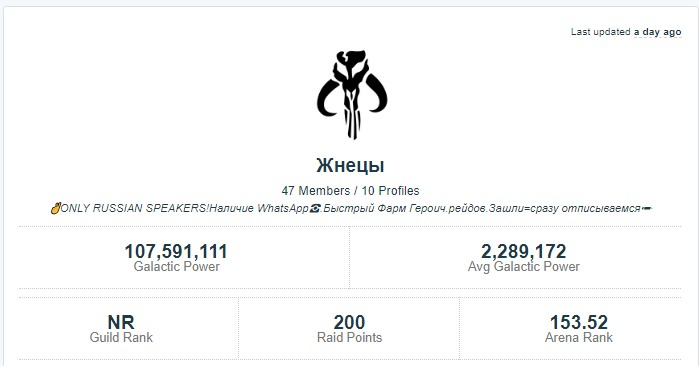 Our guild: Glorious Geeks. 89mil GP. 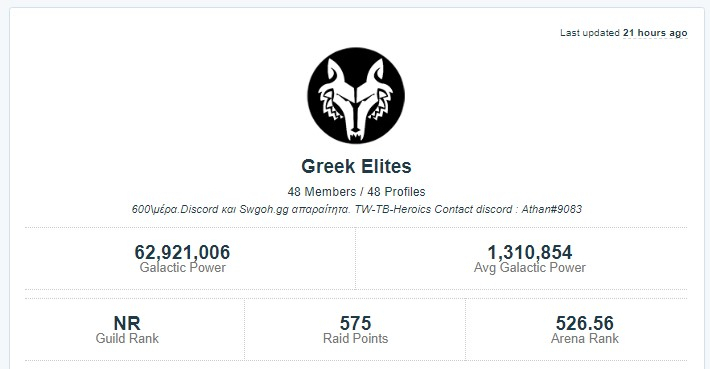 ~48 members at time of TW (we don't play with roster numbers for TW). 40 participating. 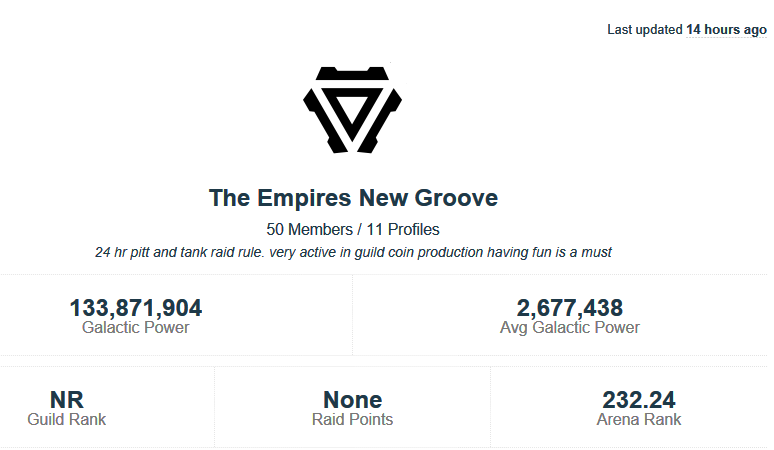 Their guild: 90mil GP. No problem. Except they had 39 members. From the way the War is turning out, it's like all 39 were participating. 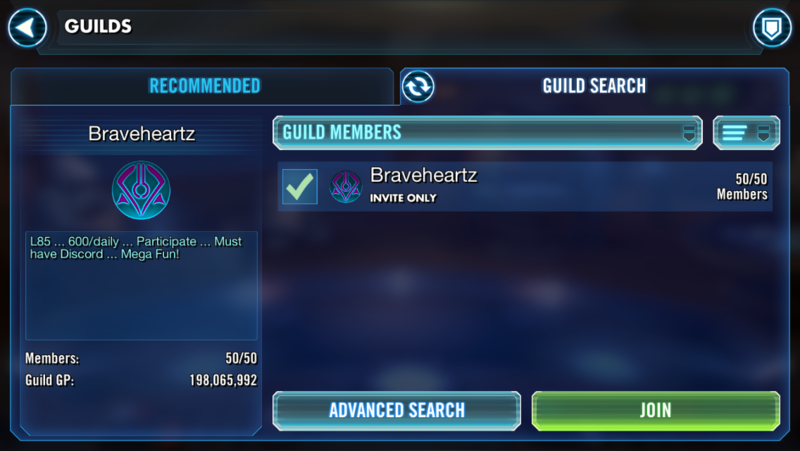 Invite-only guild. 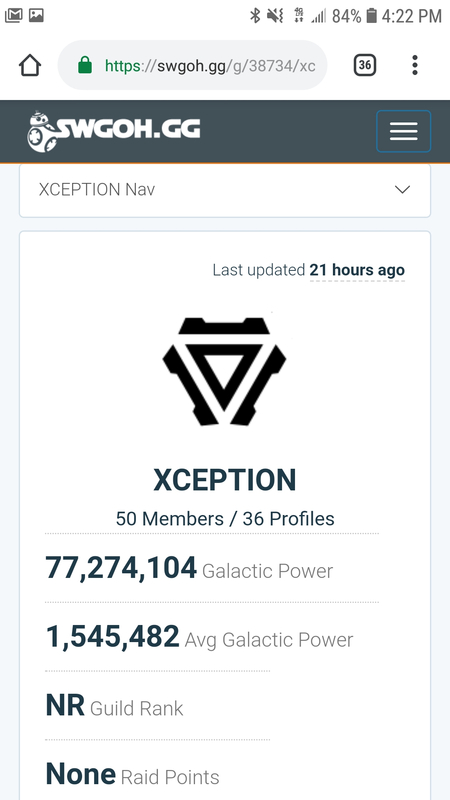 Back to 48 members right now. I should probably say more, but still too triggered with TW and ships combined to compose myself tonight. Hello there. I’m in the same alliance as the guild you faced. While it may seem like a sandbag, was truly not. Players from that guild came to my current guild and another guild merged in. Because moves can’t be made during these modes it has to be before or after. 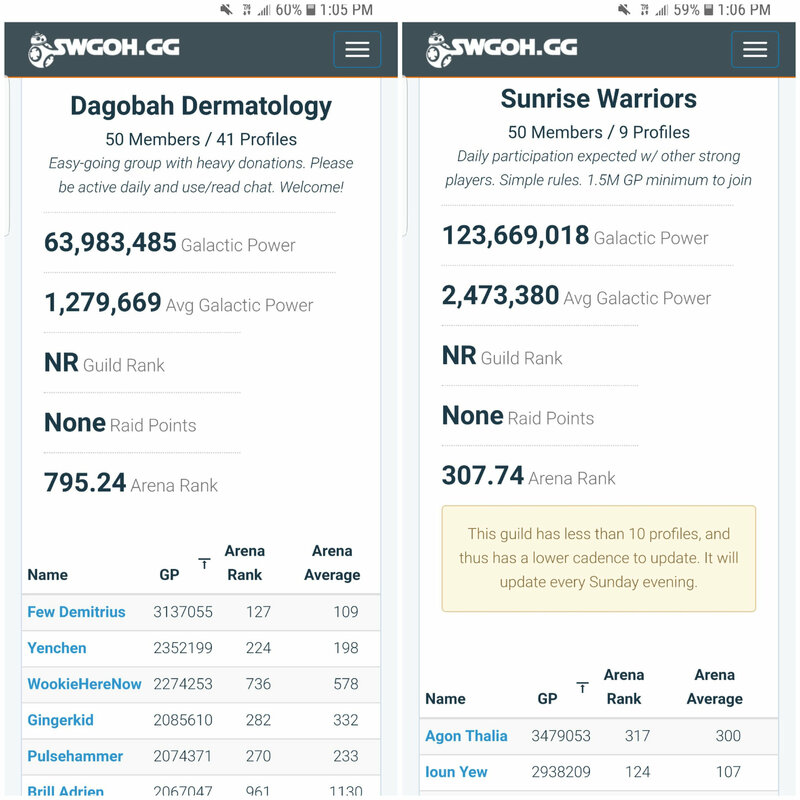 In sum, the (active/joined) GP disparity between our guild and our opponents not only means that they are in an entirely different reward bracket than us, but it also means that they could field approximately 260 teams of 100,000 GP over our entire active roster. The only logical conclusions based upon these numbers are (A) the matchmaking algorithm is flawed and/or using inaccurate inputs to determine opponents, and is thus matching up teams across tier brackets; or (B) the matchmaking algorithm is being compromised by savvy guilds who have found ways to circumvent the system in place. 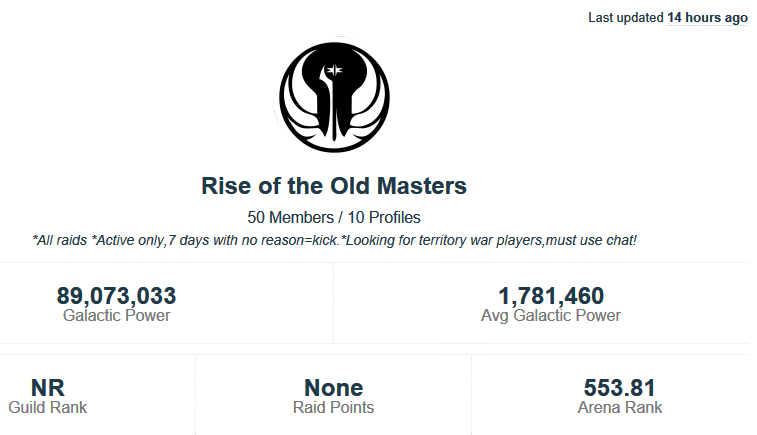 Regardless of the reason, the foregoing data proves that the current matchmaking system harms guilds by matching them against unbeatable opponents, and rewards guilds (at a higher reward tier, no less) that exploit the current system by providing them with greater gear rewards, zetas, and currency. This issue first started becoming an insurmountable problem once we eclipsed 100mGP. Until then, we were able to overcome opponents through discipline and strategy. Now, that is no longer the case. 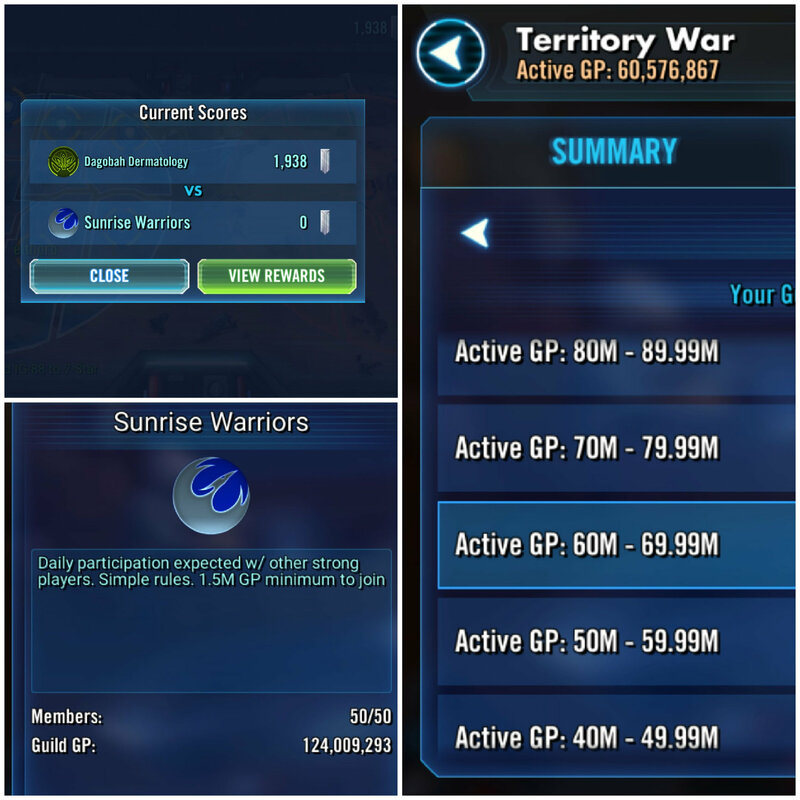 While the matchmaking system quantifies extreme mismatches based upon the number of members who join territory war amongst guilds, a 30 Million GP difference and a 1 Million GP average roster difference is too great a burden to overcome. 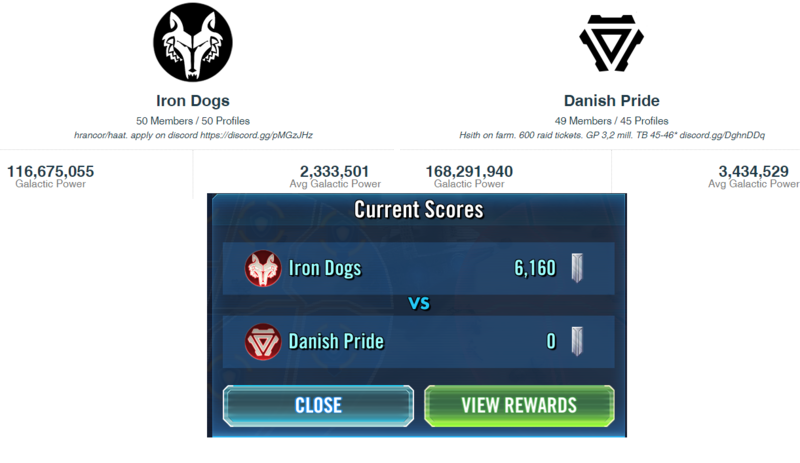 Even though we have more people playing in the battle (conceivably), the teams we are up against have determinably higher gear level, a higher average roster level, and far more zeta-level abilities per team assigned. Because battles don’t operate on refresh (and TM is carried over per battle, meaning that each subsequent loss results in a head start for the defensive team), G12 and zeta-heavy defensive lines almost certainly outperform offensive fronts (keeping in mind that those defensive teams will be of a higher quality simply because the “active” rosters used by the matchmaking algorithm are approximately 1 ½ to 2 times more powerful than our average roster). This is the third TW in a row where we have faced an overwhelmingly difficult opponent. Based upon the forgoing, your matchmaking algorithm merely punishes guilds consisting of 50 dedicated, active players, while rewarding guilds consisting of casual ones (or guilds organized around half that number of dedicated players offset by alternate accounts and ticket hounds). As such, the current matchmaking setup for TW harms the entertainment and playability (and further, the monetarization) for a far greater number of players than it actually rewards, irrespective of pay-to-play status. I sincerely hope that this data can be used to better the current Territory War environment and fix a significant flaw that harms the entertainment value of your game. I would be open to discuss any further information (our guild documented just about every conceivable factor in the past TW), and look forward to your response. @CG_SBCrumb is there ANY update here? Yes, it would be good to know if there is any progress. 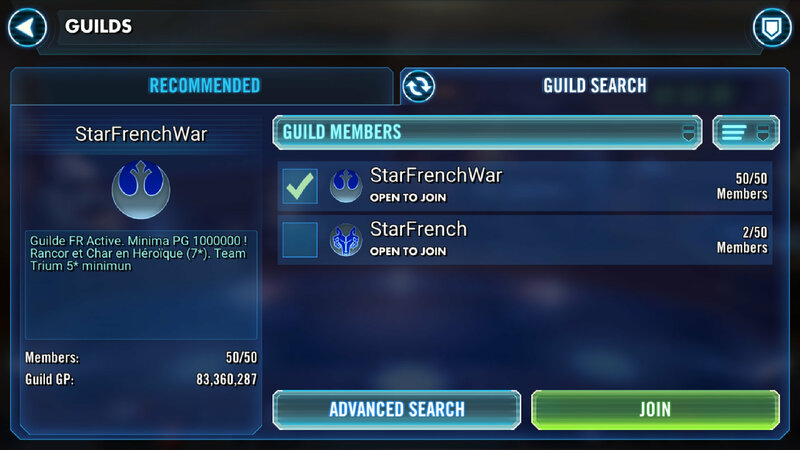 Our 98M GP guild just got matched with a 121M GP guild in the 80M-89.9M tier.I don't think it will be pretty. Hey guys, what kind of bot you're all using to compare the stats of both gilds? I would be delighted if you can give me a link. Thanks in advance. 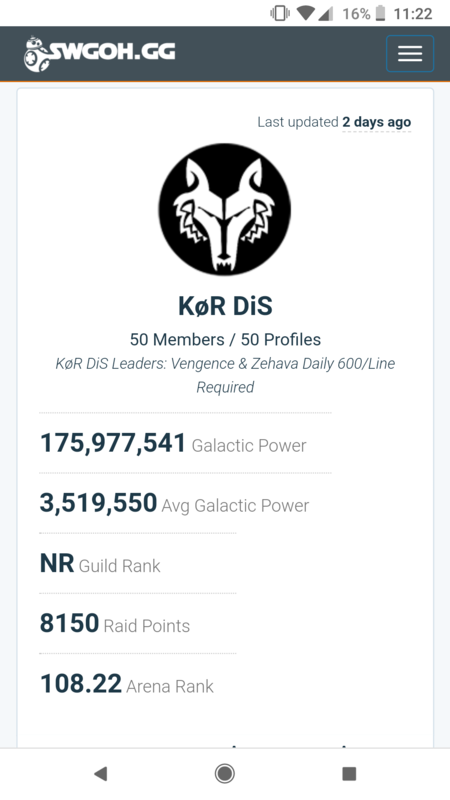 # of opposing guild members who joined: unknown. There are 22 placements so I assume 44. 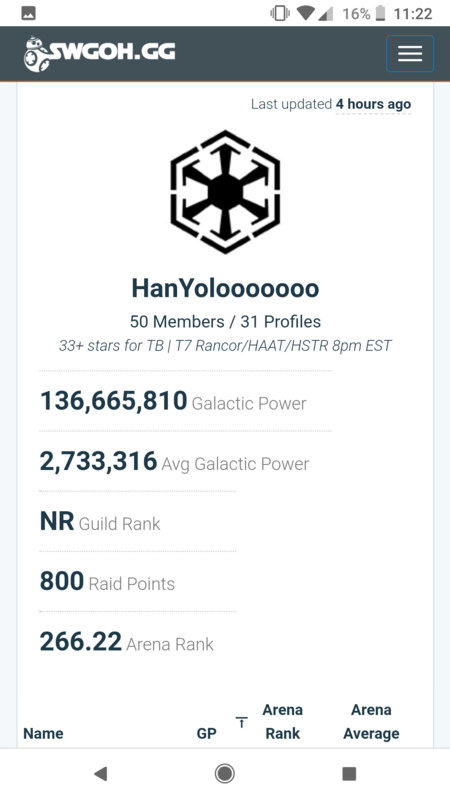 # of opposing guild members who joined: unknown. 25 placements per territory. We've been asked to fill up 18 teams in the regions. Fix that...thing... 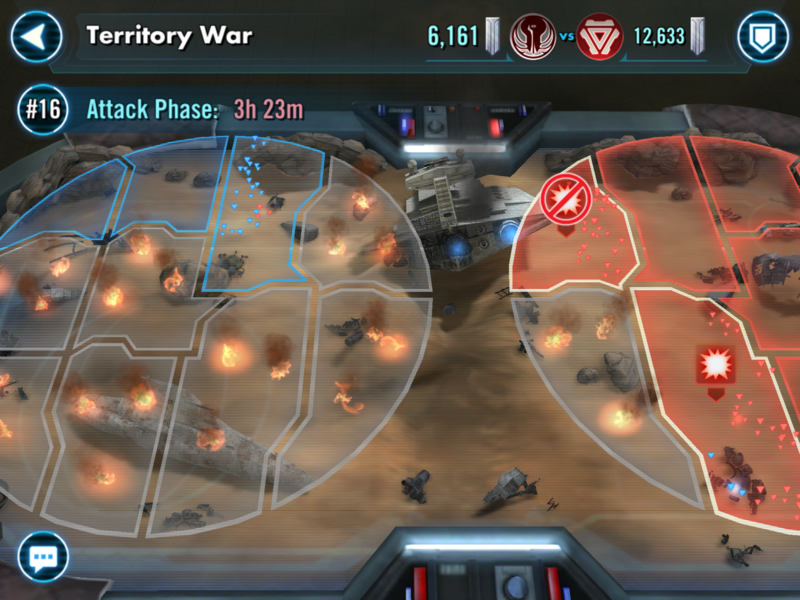 There is no point for us to keep playing in Territory Wars. And like us there are thousands of guilds with the same issues. Hey Devs. I am the guild leader of Ascended Masters, and I have posted before. 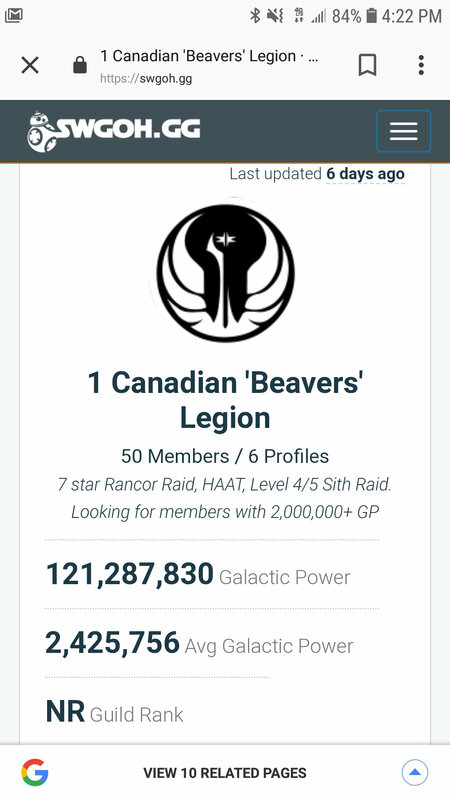 We are facing another guild that is almost 20 Million GP stronger than our guild. So we barely got past a zone and the other group has a full clear. Just a random thought on TW. If you are going to buff the heck out of a character for TW, how about we don't make it a jedi, thus reducing TW to "whichever team has the most number of Revan to pair with Mace wins." Again, crazy, I know - asking the developers to actually think through the implications of crazy buffs that ruin yet another game mode. Can we get a developer to respond to...well, pretty much anything. One quick question - do you guys intentionally try to make the game a worse experience or do you not even care? 43+ million GP difference. Average GP 1 million higher per member. Lets see how the battle goes before calling out the devs on the new algorithm. We actually got a fair matchup when comparing what each guild as a whole has to bring to the battle. I ran your guild and your enemies guild in DSRbot to check the "quality" of the GP between you and your enemy. 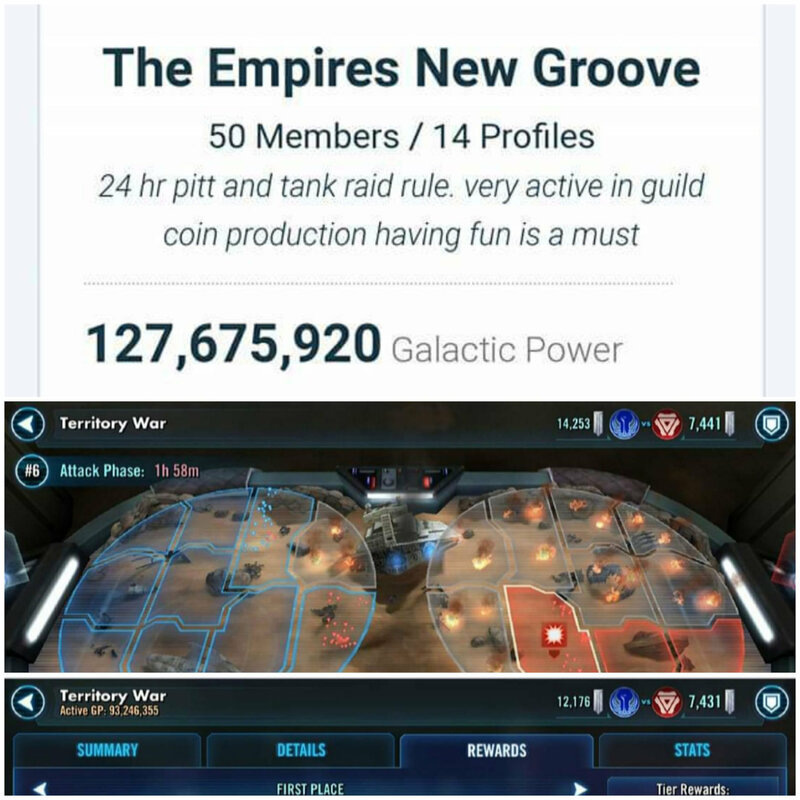 From what I can see, I have to say I think your guild has a far better chance of kicking their **** then they do yours lol. 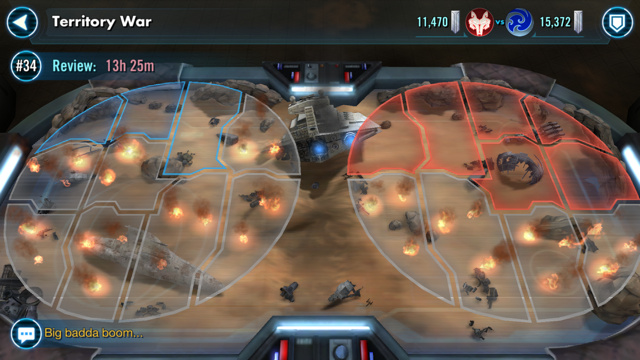 As long as you have a half decent strategy you should have a good matchup. I highly doubt they have their full roster available for the war. If they sandbagged you should be able to punish them for it. In fact when I run my guild vs the guild we're fighting we have a slightly higher overall GP (106m vs 103m), but the toons each side has at their disposable is pretty **** even. Looking at teams with Revan... yeah this is gonna be a lot of no fun Rumor has it whales wanted easier matches. Guess they got their wish. 5 in 6 TW we've been 20m disadvantaged. down 20% to your opponent at the start is starting to get real old real fast. Legendaries really need to be taken into consideration in the matchmaking. We just beat our first HSTR and we’re playing against a guild full of Traya and some Revan. Simply putting GP vs GP just doesn’t give a balanced experience. Their mods and gear will be inherently better due to the rewards they’ve been accumulating theoughout their many HSTR successes that we’ve only just begun earning. 40 of their players will still have a huge advantage over 50 of ours. Their GP 112M unknown on participation but we only deployed 17 per zone. 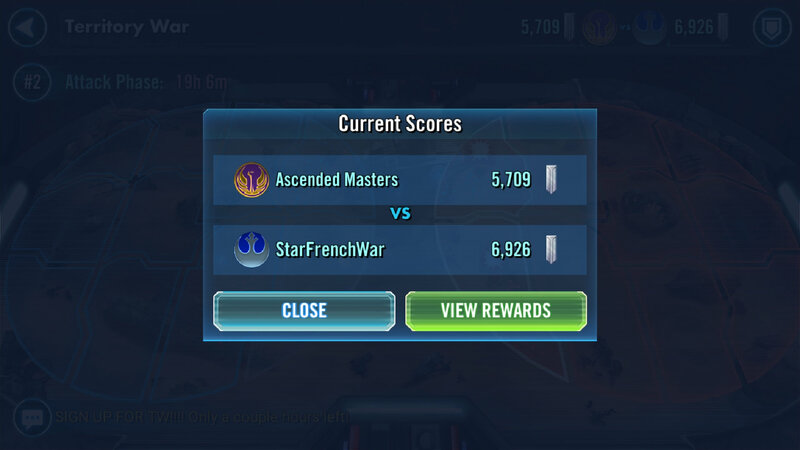 Nevermind sand bagging guilds in TW, people need to stop sand bagging their TW match up complaints. The number of defensive teams you set is determined by the guild with the lowest number participating. It's half of those active members. Hey @CG_SBCrumb do you think this thread should be closed, and a new one for the new algorithm be started?